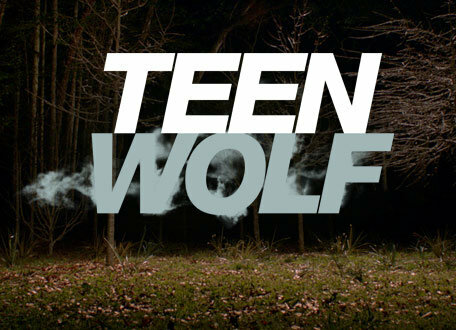 As a fan of the MTV series Teen Wolf, I am so pumped for its third season, which premiers tonight. But as I watched the trailer in excitement, I realized that I've never talked about TV shows on my blog. Truth to be told, I don't watch a lot of television, but it's not like I completely shun it. There are a few shows I try to keep up with, and Teen Wolf is one of my favorites. However, when I first heard about the show's debut in 2011 by reading a preview in Channel Guide, I was uninterested. It just didn't look fascinating to me for whatever reason. But, one night I saw the sixth episode of the first season, "Heart Monitor," and I never stopped watching since then. I was intrigued. The characters faced some sort of mystery, there was cool music included, and Tyler Hoechlin's character Derek seemed so interesting. That was apparently all it took, and even now, "Heart Monitor" remains one of my favorite episodes. Though I definitely became a fan during the first season, I was quite irritated with the main character, Scott (played by Tyler Posey). All he seemed to do was think about Allison and run around while Derek actually seemed to have a decent handle on things. The tables turned in the second season though. I grew to really love Scott as a character while Derek became a bit of a nuisance... but still fun to look at, as usual. Season two was much more mysterious and action-packed than the first season, bringing twists I never expected. Both seasons managed to include superb season finales, leaving me so stoked for the next season. Still, there are a couple other characters I truly enjoy watching in this show: Stiles and Lydia. Stiles is the ideal BFF and is absolutely hilarious. His personality contrasts with Derek's in such a comical way! I love it when they have to team up because I know I'll get a good laugh at some point. On the other hand, Lydia isn't really ideal in any sense, nor is she particularly funny. She's sassy and kind of strange in her own way; I don't know how Holland Roden does it. I've seen her in interviews and it's like watching an entirely different person; the way she speaks is so different. I guess I got used to the idiosyncratic snippiness. Stiles and Derek share an awkward moment. So, this addictive show returns tonight for the third season. The trailer and teasers that have been released seem to imply that the action won't let up, but it also makes me concerned for some of the characters... This looks like it'll be one chaotic season.